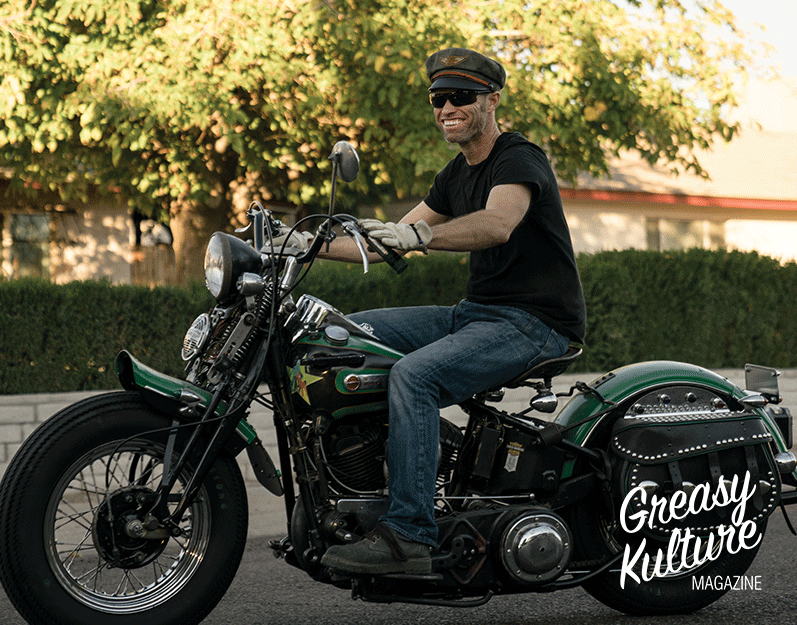 Greasy Kulture Magazine issue 62 features Billy Horner from Phoenix, Arizona on the cover, riding his homebuilt '41 Harley U flathead. It's a proper bob-job folks! The cover/feature photos are by Laura Horner Photography. 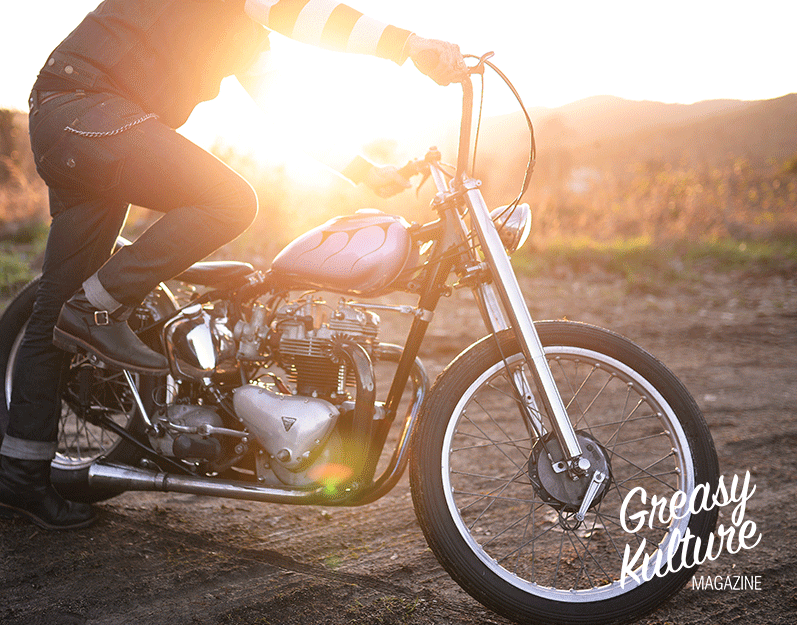 Inside, we bring you stunning, traditionally styled choppers and bobbers from every corner of the world – Indonesia, USA, UK, Japan, Spain, Australia and Italy – everything from a Yamaha custom from central Java to a beautiful pre-unit Triumph chopper from Barcelona. 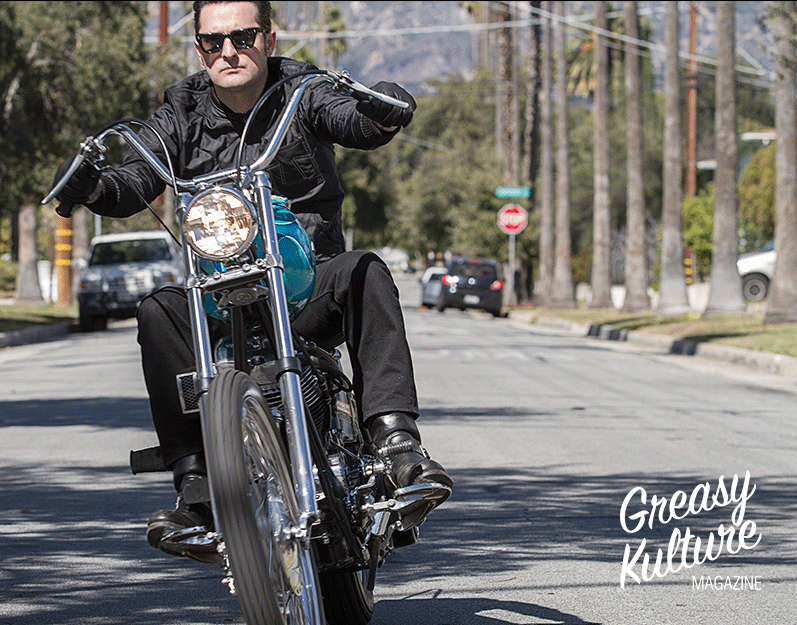 Dean's '68 generator Shovelhead was left to him by our much-loved friend – and his DicE Mag partner – Matt Davis. He was an inspiring man and this is a poignant story. 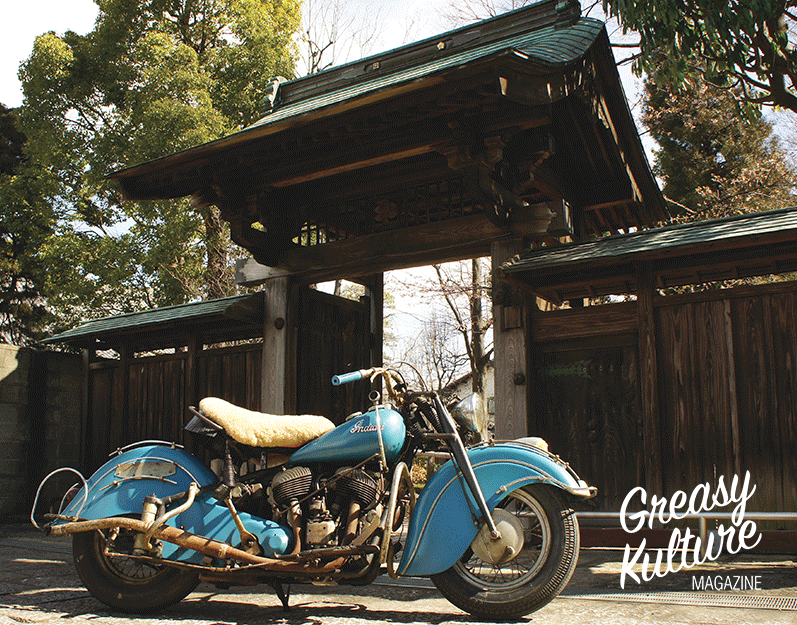 Hideaki's Indian Chief was pulled out of a Florida barn, untouched pretty much since 1947. How do you keep a bike like this original, but use it every day? Coffee Gasoline MotoGarage is the name of the shop that built this pared-back Yam XS650. Designed for two-up everyday use, everything's handbuilt except for the engine and wheels. 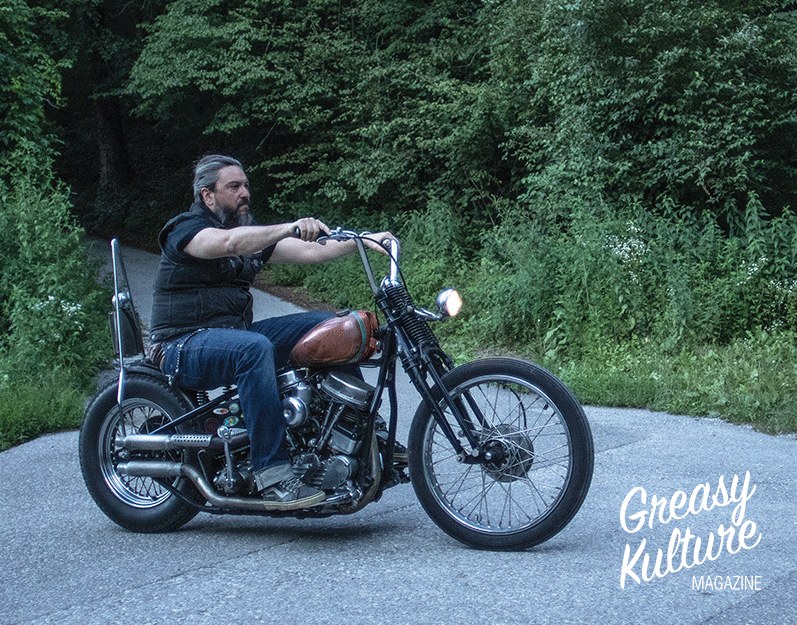 Damiano from Italy finally built a good-running, classic chopper out of this '49 Pan with a dodgy past. He doesn't baby his bikes so it had to be rock-solidly reliable. Billy built this '41 big inch flatty from the (very badly damaged) cases upwards and peppered it with beautiful and rare period accessories. He looks the part... so does the bike. Dennis is a great tattooist with an eye for a well proportioned chopper; but he bit off almost more than he could chew when he imported this sweet pre-unit from California. 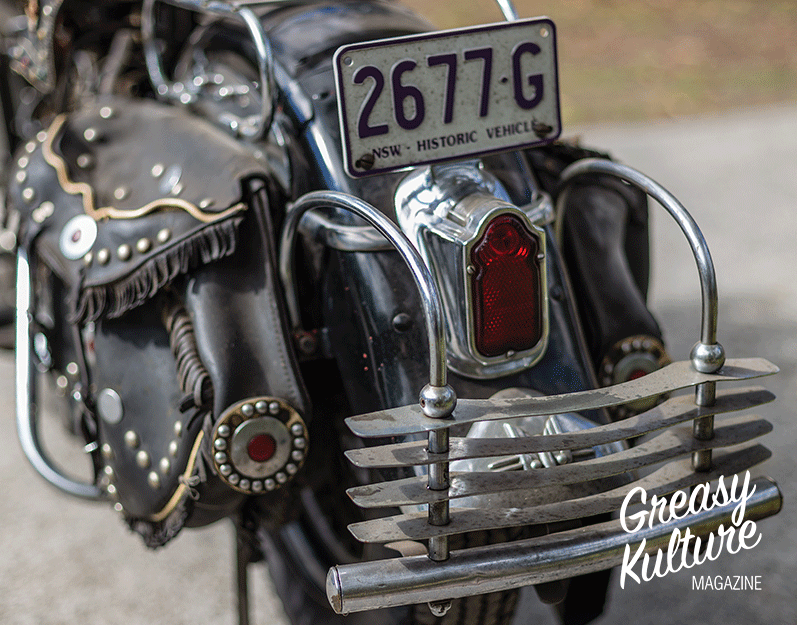 Laurie brought this beautifully original '52 Panhead back to Austrlalia complete with all the doodads; dressed to kill! 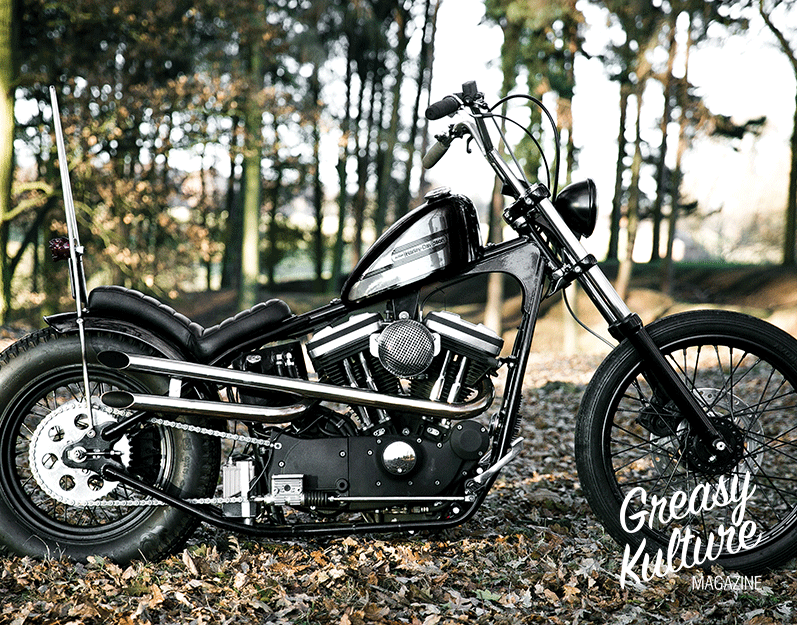 This Evo 883R Sporty chopper is a minimalist and tuff machine, built for Manchester, England's mean streets. 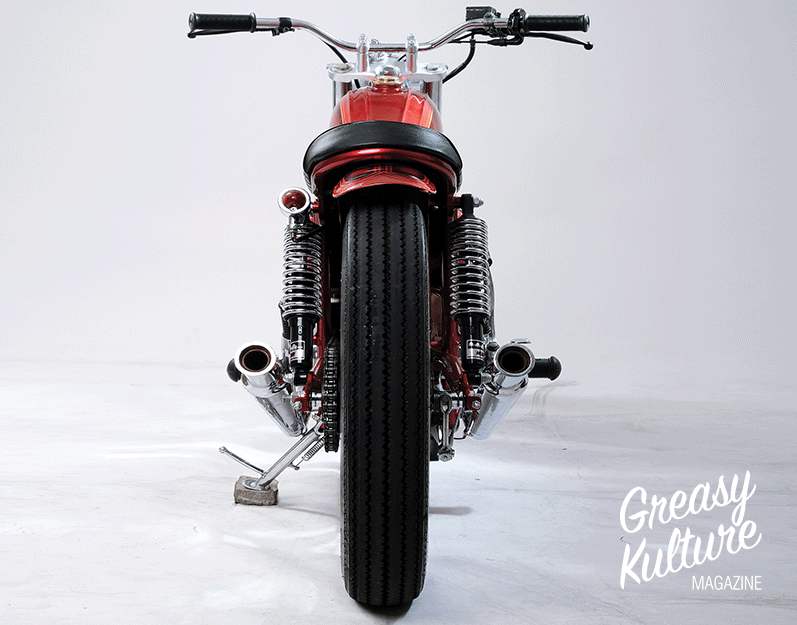 Ryan wanted a fast, no-compromise, well-built chopper... that's exactly what he got. 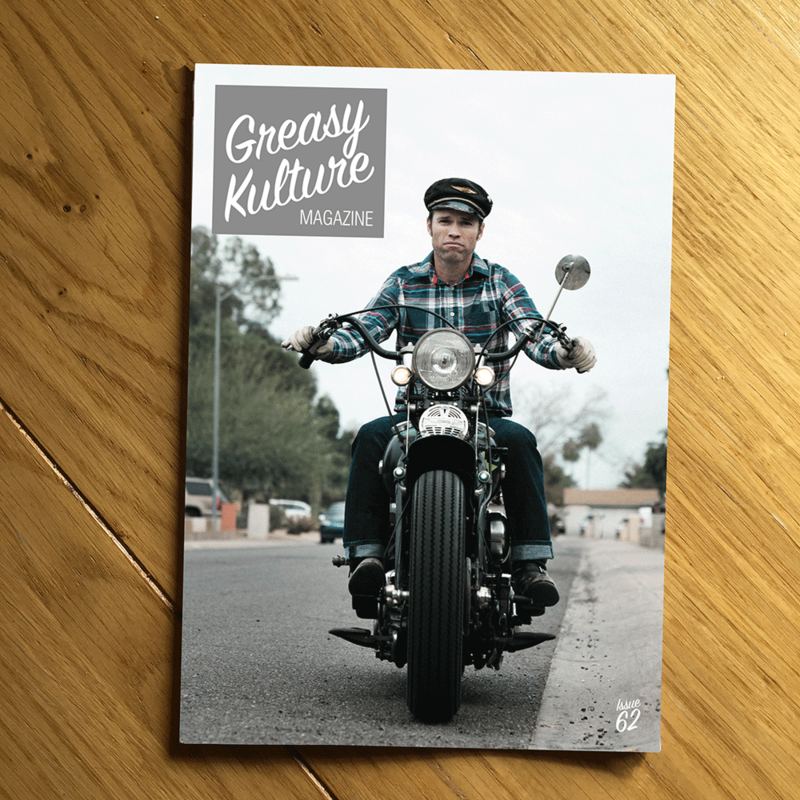 You can buy your copy of Issue #62 here and be sure to give GKM a follow on Facebook and Instagram. Nice pic's ! Real Bikes ! I subscribed for at least one year, 6 issues I believe. Not cheap shipping to the states. Got my first issue today...Nice mag!